Most of us often eat 2-3 meals a day, but little do we realize that the meals we consume are not necessarily rich in the recommended dietary allowance of vitamins and minerals that are required for normal functioning of our bodies. Vitamin supplements are needed when your intake is not sufficient and your body shows signs of deficiency or when your body develops disease due to inadequate nutrients. It is also recommended when you are involved in excessive energy expending activities but your food intake is not adequate to meet requirements. Vitamin Supplements are beneficial provided they are taken after consulting a Physician for a specific duration and dosage as recommended. Anything in excess is dangerous, holds good for supplements as well. 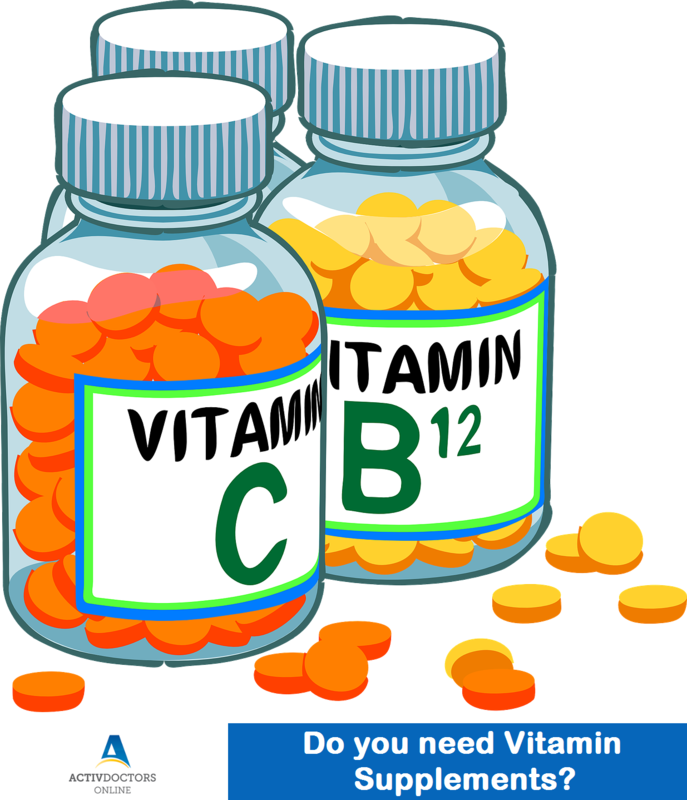 It is advised not to take supplements without consulting a Doctor, be it multivitamins or calcium supplements. Eating a healthy, nutritious and well-balanced diet is most recommended to avoid dependence on vitamin supplements for your well-being. Be more than well. Be well prepared.